Toronto is the most populous city in Canada, it’s also one of the priciest places to buy a home. Affordability has caused many Torontonians to move out of the city, and settling down in one of the neighbouring cities. It’s also resulted in many investors looking at properties further down the QEW. The question is, what type of house do you get and what price can you expect to pay for a home in these nearby communities? 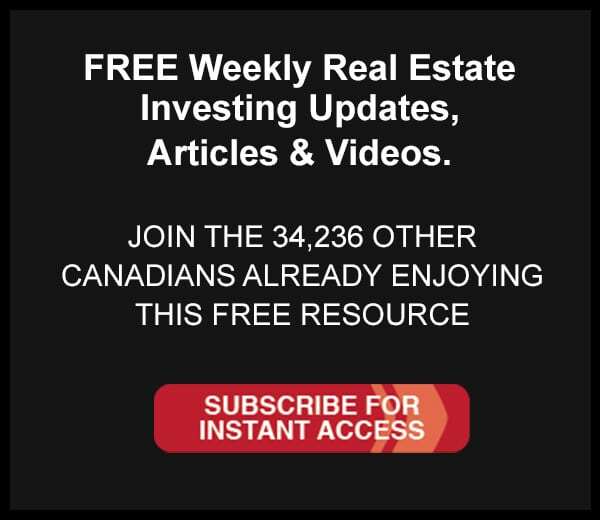 We’ve put together a little roadmap, heading down the QEW from Toronto all the way Niagara Falls, looking at the average home price and what type of house that affords you. The average sale price can look drastically different from city to city. You’ll see that in some areas the average home is a small bungalow, while others are large family homes. To keep things somewhat comparable, we limited our examples of the homes available at the city’s average sale price to freehold detached homes. We’re starting in the City of Toronto, which has an average sale price of $807,500. This is an average for the entire city. Certain neighbourhoods are far more expensive, but we’re looking at the average of all of Toronto. To find a detached family home close to that average price, you’re looking outside the downtown core. 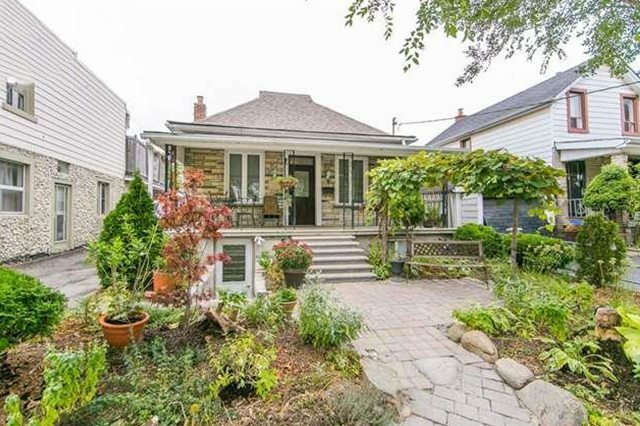 We found this detached bungalow is in Toronto’s Runnymede neighbourhood, asking $799,000, slightly below the city’s average. This 2 +2 bedroom, 2 bathroom home has a great little in-law suite in the basement with its own separate interest, a detached garage, and a private backyard. The home is quite small compared to some of the other homes on this list, but it’s in great shape, and you’re in Toronto. Close to shops, restaurants, and transit, you’re getting all of the benefits of city living. Moving west, as you enter Mississauga, homes grow larger, and prices start to go down. This was an early Toronto suburb, which has grown to be the sixth largest city in Canada. The larger homes, lower costs, and proximity to the downtown has made Mississauga appealing to many working-class families. Mississauga’s current average sale price sits at $703,100. This 3 bedroom, 2 bathroom detached home is right in line with the city’s average, asking $699,900. The listing boasts the home is in a family-friendly neighbourhood, has many updates including a new kitchen and newer floors. The tradeoff is that you’re quite far north of the QEW, but you are still near the 401 Expressway. Oakville wins the title of the priciest average home along the QEW. This picturesque, highly sought-after suburb of Toronto will cost you. You’re getting space, and upscale living, but the average sale price for this bedroom community is a whopping $979,600. 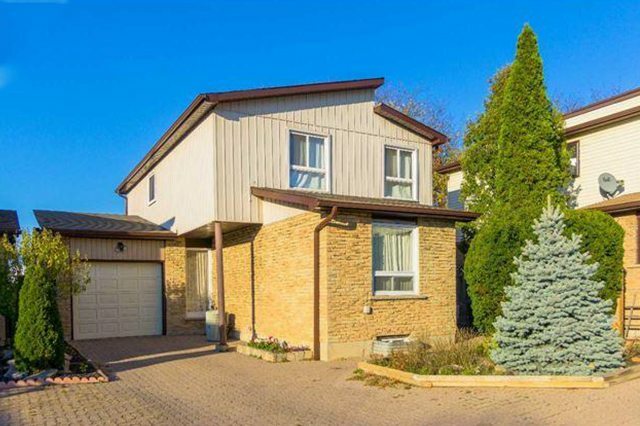 At an asking price of $979,000, this Oakville raised bungalow is what you can expect from a home in this city. Upstairs has a large master suite, and there are 3 additional bedrooms in the basement. 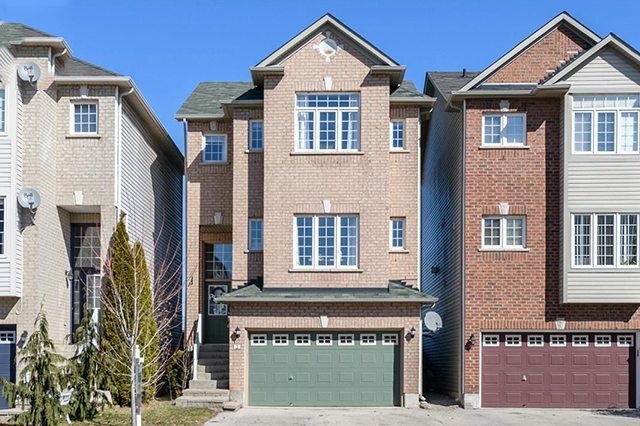 On a quiet street, close to parks, schools, and easy access to the QEW, this home meets many of the criteria for convenient suburban living, but it will cost you. Continuing down the QEW, Burlington is another suburban city home to many daily commuters. Burlington is home to many great schools, beautiful parks, and family homes. For the city’s $689,900 average sale price, you can snag this commuter’s dream house, listed at $689,000. Across the street from the Go Station, you can easily roll out of bed and jump on the train to work in the morning. Or, back out of your 1.5 car garage, and jump on the QEW, which is conveniently nearby. With 3 bedrooms, 4 bathrooms, and just shy of 2,100 sq. ft., there is plenty of space for the whole family. This home is well maintained, freshly painted, and move-in ready. For proximity to transit, you’re giving up some yard space, but a small backyard is perfect for many people on the go. What was once considered a rougher, blue-collar city has seen a resurgence in recent years, with a growing art presence. Boutique shops, restaurants serving artisan foods, and monthly music and art festivals, Hamilton is quickly becoming the next hot place to call home. While prices in the city have quickly soared in recent years, the city’s average sale price of $410,150 has a nice ring to it for anyone travelling down the QEW. That’s the average for Hamilton East, Centre, West, and the Hamilton Mountain. We factored out many of the neighbouring communities, technically part of Hamilton, like Ancaster, Dundas, and Flamborough due to their higher price points. 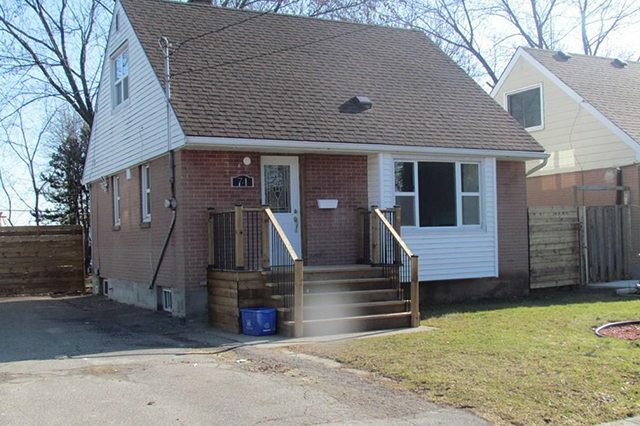 This cute 1.5 storey home in Hamilton’s East End is listed for $414,900, slightly above the city’s average. With 3 bedrooms and 2 bathrooms, this home is larger than it looks. Plus, the beautifully finished basement is a great bonus space for the family. The home has been tastefully finished, with a gourmet kitchen, new flooring throughout, and a new deck for outdoor living. There’s ample parking in the large driveway, and you’re close to the Red Hill Valley Parkway and the QEW. As you head East along the QEW, south of the lake, you’ll find the Hamilton suburb, Grimsby. This side of the Burlington Skyway definitely comes with more space, and at a much lower cost than Burlington or Oakville. 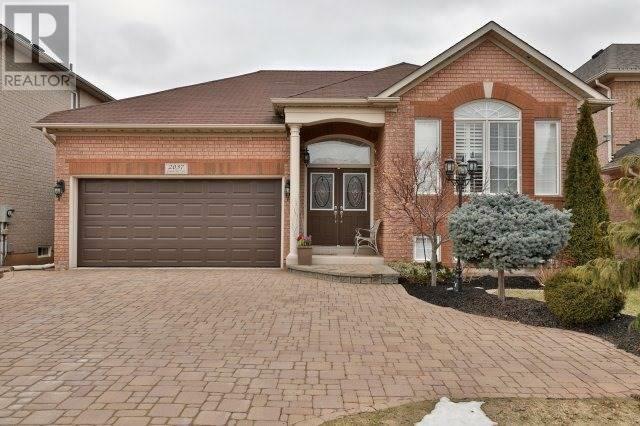 Still, the average price is a significant jump from Hamilton at $557,925. That being said, you can find many great family homes around that price point. Grimsby is a small (but growing) historic town founded in 1790. It has the charm of a small town with great shops and restaurants along its Main St., but with three QEW exchanges in town, you have easy access to the neighbouring cities. Choose from one of Grimsby’s historic homes for character and charm, or a new build in one of the many new subdivisions for turnkey living. 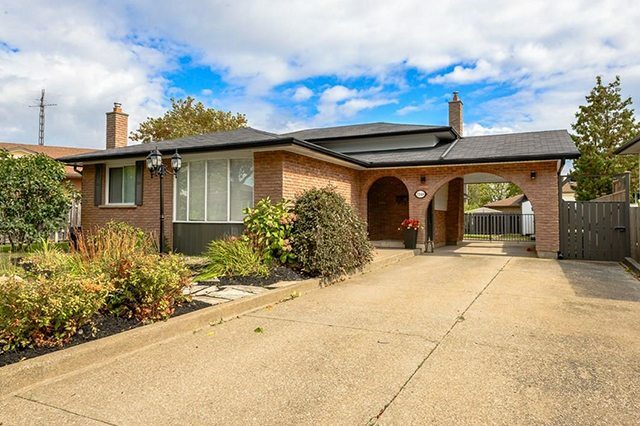 To get an idea of the type of home you can get at Grimsby’s average price, let’s look at this family home which is on a large pie-shaped lot on a quiet cul-de-sac. The home has 3 large bedrooms, 2 bathrooms, and over 2000 sq. ft. of living space. There’s a beautifully renovated kitchen, a 2-car garage, and the basement features a gas fireplace and a bar. 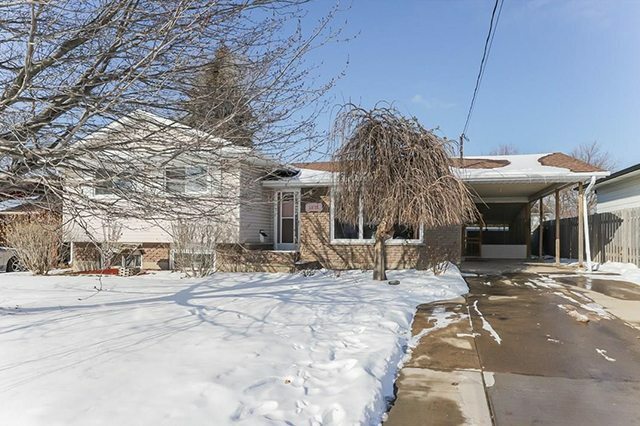 If you’re looking for a place in the suburbs, that’s close to the highway, and for a reasonable price, this Grimsby home may be the perfect home. The asking price? $549,900, almost $10,000 less than Grimsby’s average of $557,925. Can’t afford Grimsby? The next town down the QEW is beautiful fruit and wine country. The town of Lincoln is made up of several smaller communities, the largest of which are Beamsville, Vineland, and Jordan. Home to dozens of wineries, fruit farms, and greenhouses, Lincoln is a beautiful place to live and visit. With an average sale price of $460,825, it is far more affordable too. 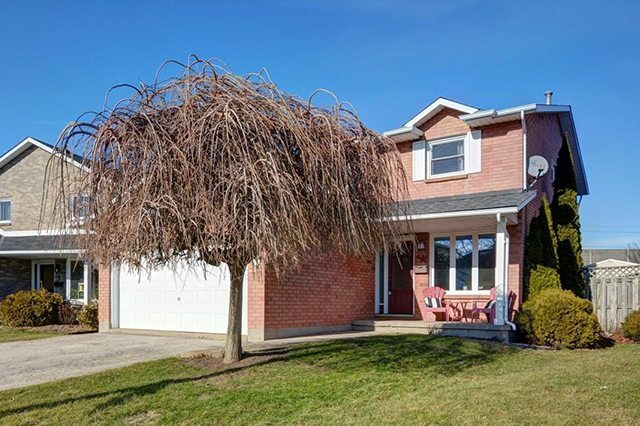 This side-split in Beamsville, listed at $455,000, has 3 bedrooms and 2 bathrooms, a finished basement with a gas fireplace, and a pool in the backyard. Situated on a mature, tree-lined street close to the QEW, this is a family home perfect for someone who doesn’t want the hustle and bustle of city living. Lincoln has had a lot of new subdivisions popping up as more and more people are flocking to Niagara, but there are plenty of slightly older homes available at a lower cost. Welcome to the Garden City! St. Catharines is the least expensive stop we’re making along the QEW, with an average sale price of $358,530. 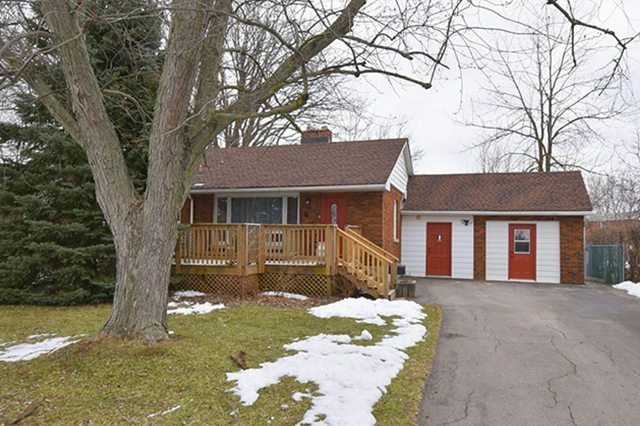 This 3 bedroom, 2 bathroom bungalow is asking slightly over the average with $362,500. It features hardwood floors and an updated kitchen. There’s also a large sunroom at the back of the house, which leads to a good-sized deck, perfect for summer barbeques. You can also gain a lot of extra living space by finishing the basement, which has already been framed. You won’t even know you’re living in a city on this quiet cul-de-sac. Plus, this home has one of the larger lot sizes of the properties on this list. At the far end of the QEW, you have the honeymoon retreat, Niagara Falls. Away from the tourist centre of Canada, you can find many great family homes for a reasonable price. The average price in Niagara Falls is $408,039. Check out this completely renovated, 4 level back-split in Niagara Fall’s north end, listed at $409,900. With 3 bedrooms, 2 bathrooms, a new kitchen, new hardwood flooring, and plenty of living space, this home has all of the must-haves. 120 kilometres is a significant distance, but all of these cities along the QEW have something special to offer. Buying in nicer suburbs may end up costing more than their neighbouring the city centres, but you’re also getting a bigger house on a bigger lot. Still, prices generally go down the further down the QEW you travel, which is why more and more investors are looking at homes in cities like Hamilton and St. Catharines. With a $621,069 spread in pricing, it’s clear that location comes with a heavy price tag.